The Larco’s name has been synonymous with fine cuisine and excellent service since 1920, and for four generations. Immigrant Ernesto Larco’s authentic Italian recipes and traditions made him an outstanding restaurateur in New England. 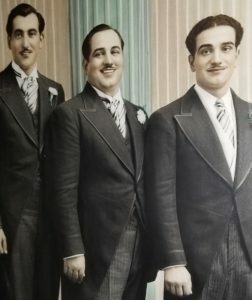 In 1952, sons Pete, Nick and Mike Larco in Detroit parlayed the family legacy to success at Larco’s Inn on West McNichols, west of Livernois. The Tradition continued with Peter’s son Mark Larco taking the reins and bringing the Larco Heritage and Recipes to Oakland County from Southfield, Troy and West Bloomfield. Mark and Susan Larco mentored their three sons Peter, Mark and J Michael Larco in the fine art of Larco Family Italian Culinary and Hospitalty traditions. 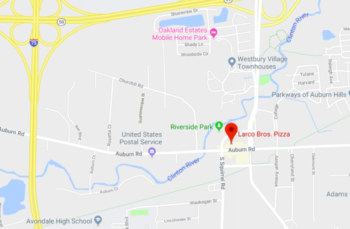 Now, the baton has passed to J Michael Larco and in November 2018, the next delicious chapter for the family has begun, six days a week at Larco Bros. Pizzeria of Downtown Auburn Hills, MI. In the near future, open seven days a week with libations. A more casual fare with the same Famous Larco’s Hospitality and Recipes, from Pizza, Minestrone soup, Bolognese, Palmina sauce and More…..